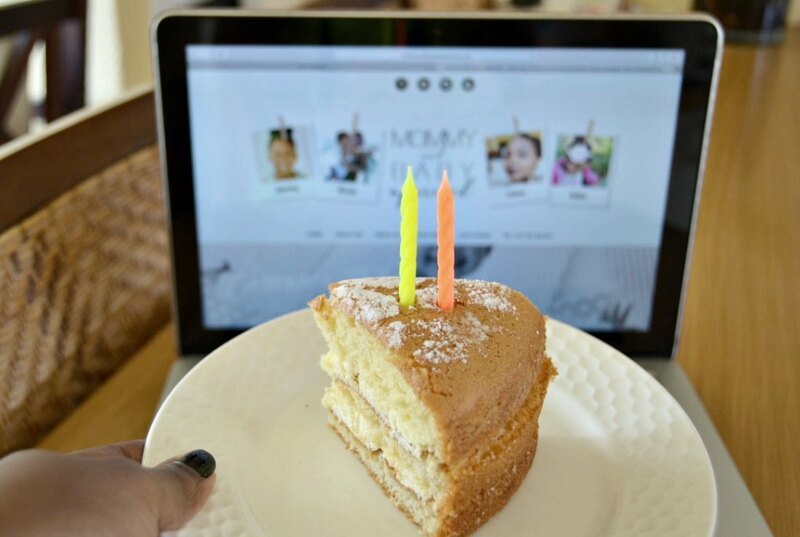 Over the weekend this blog turned officially 2 years old. The 4th of March 2015 was the day that I finally got myself to sit down and do what i’ve *then* always wanted to do – blog! It goes without saying that I was a nervous wreck, I had no idea what I was doing, where I was going with it, how long I was going to keep doing it; in a nutshell, I had no plan. All I knew is, I really wanted to do it and I dived in. Now, 2 years and 2 days later, I am here and still blogging and I LOVE IT. I wasn’t really sure how to write this post – on the count of, I didn’t want to sit here and write yet another cliche full post and stuff – but I thought I should give it a try, so here goes nothing! On Saturday, I read my very first blog post – be warned, it’s very cringe worthy – and felt all sorts of emotions. It made me realize just how far i’ve come. Really LONG WAY and a lot of learning has occurred along the journey. So I wanted to acknowledge that and write this post – which will also serve as a memory and something to look back on someday. The first blog post: Remember when I say, it’s cringe worthy? I wasn’t lying! And i’m not going to link it here, if you are brave enough, you can check it out on the blog archives drop down to the right (if you on desktop, otherwise scroll all the way down on mobile). For the longest time, I wanted to delete that post because of the cringes that come with it. But how could I? This is a post that shows exactly where I started, it shows the beginning of my journey and just how clueless I was *then* and as much as I wanted to delete it, i’m very glad I didn’t. I’ve come a long way since, and I know this because I am able to look at that first blog post and realize the transformation. To be honest, writing up that post was about one of the hardest things i’ve done in my life – which was totally surprising because I was at that time, making YouTube videos – also cringe worthy then. I’ve never considered myself a writer – still don’t – and yet there I was with this enormous urge to start a blog. So I made it easy; I wrote an introduction post and titled it *Meet the lady behind the computer* – classic right! I didn’t know what to title it let alone what to right about so when that came to mind, I didn’t think twice! Lessons learned: Blogging is not as easy as I thought it would be. When I started, I was just a girl, sitting in front of a computer and writing things down – then sharing online. Never did I imagine that someone would be interested in reading my posts, heck even subscribing and following my blog. But as it turns out, I may have been wrong. I’ve had to learn to actually write posts and keep them for a moment to allow me time to actually get a fresh perspective before editing and publishing them. I’ve learned to realize that blogging is not just about me sitting down in front of my computer and crunching on the keyboard for a good couple of minutes then pressing *publish* and walking away. It’s more than just that. It’s taking into consideration my readers, my grammar, my spelling mistakes, my flow (which i’m still working on by the way), my presentation, and don’t even get me started on selecting the picture to go with it! There really is more to it and though to this day, i’m still learning, I am also very happy to say, this(blogging) has become one of my happy places and I LOVE IT. The future: I’ve spent sometime over the past 2 days thinking about where exactly I want to go with my blog. What it is I want to do? And for who will I be doing it? Well, I still haven’t figured it out quite yet! Some people say, make a business out of it; while others say draw a short term plan and just see where it goes. But I say, for now, i’m taking it one blog post at a time. I am still learning and there’s a ton more I need to learn. Blogging for me is not about the money – and yes, a lot have said to stop saying this – but to me, it’s about making a difference. It’s about getting the word out that may just change someone’s perspective on something, about writing a post that might make some’s life a bit better, and make someone’s day a whole lot brighter! And that is my goal. I probably will have to revisit this at some point but for now, i’m happy just to share opinions, thoughts, give, share, and just be happy.